Peterborough-based event and exhibition stand supplier, XL Displays, has been ranked as one of the UK’s fastest growing private companies in this year’s Sunday Times Virgin Atlantic Fast Track 100 league table. 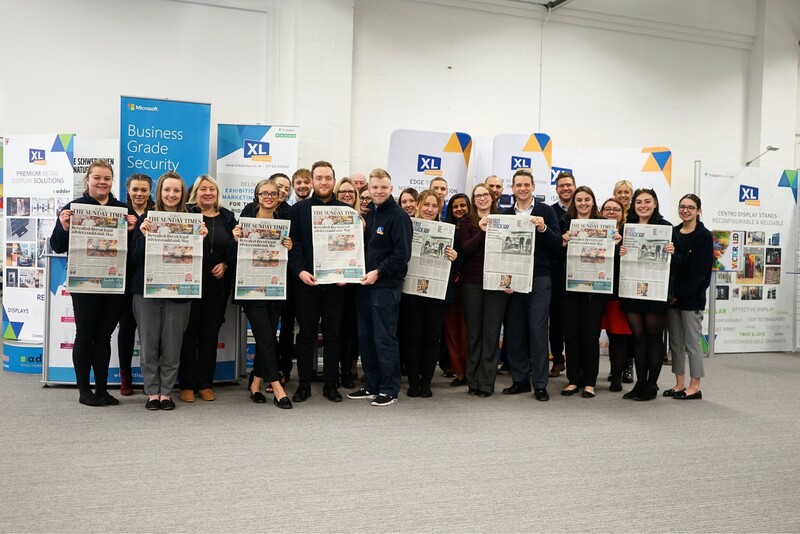 XL Displays’ is one of four businesses in the East of England to make the list, ranking 84th overall. The company was founded by Joanne Bass in 2010 and made its fortune by supplying exhibition stand equipment such as pop up stands, fabric displays, roller banners and linked pop up stands to blue-chip companies like Mercedes-Benz, Dell, BP and Virgin. Joanne set up XL Displays from her dining table whilst on maternity leave with her first child, and has since seen the company grow rapidly over the last eight years. With a turnover expected to exceed £6 million at the end of the financial year, and with nearly 50 members of staff, XL Displays has become the UK’s lead supplier of exhibition and event solutions. Upon receiving the news that her company had made the list, Joanne said: “It is such an honour to be included in the Fast Track 100 league table this year. “To see XL Displays’ name alongside big brands like Charlotte Tilbury Beauty, Five Guys, Gym Shark and Missguided is such a huge achievement and means the world to everyone here at XL. “It’s great to see other smaller companies making the list too – especially here in the East of England. I commend each and every business included in the table; what a huge accomplishment this is for all of us. Fast Track and The Sunday Times have been publishing league tables of the UK’s top-performing private companies for 22 years. The Fast Track 100 celebrates independent entrepreneurs with businesses registered in the UK. Placing on the league table is no mean feat given the criteria companies must meet to be considered for ranking. Businesses must show annualised sales exceeding £250,000 and without a drop from the penultimate to the latest year. Total sales must exceed £5 million, and there must be 10 or more employees. The operating profit must be at least £500,000 in their latest available accounts, and the business has to be trading for a minimum of 25 weeks in the base and latest years.